In 2005 the Friends of Braidburn Valley Park received a grant from the Scottish Executive Biodiversity Action Grant Scheme to create a wildflower meadow in the Park. Three kidney shaped beds were laid out on the steep slope at the south end down from the Friends’ Interpretation Panel. Pupils from both Pentland and South Morningside Primaries sowed and planted the areas with a selection of twenty-two wildflowers and grasses, with help and encouragement from the Scottish Wildlife Trust. The plants have been chosen to give interest from spring, starting with cowslips through sheets of oxeye daisies and fuzzy foxtail grasses in high summer until the late autumn colours of hawkbits and sowthistles. Birds, butterflies and other insects already appreciate this miniature landscape from the past. There is a species list of the wildflowers planted and sown (download species list) as well as others plants that have colonised naturally. Raking the hay and barrowing it away after the annual autumn cut is very popular with primary school children, and encourages more wild flowers to seed and spread. An Interpretation Panel, describing ten easily recognised flowers, stands at the edge of the wildflower meadow. 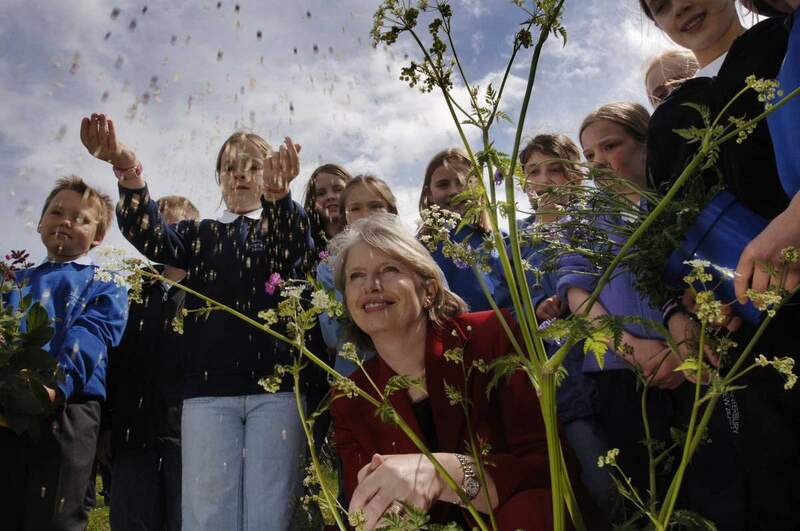 In 2006 Rhona Brankin MSP, Deputy Minister for the Environment, visited the wildflower meadow to launch Scottish Biodiversity Fortnight. This visit featured in the Edinburgh Evening News (opens in a new window). An in depth Education Pack has been produced, not just for the use of local schools and groups but to be shared with the wider community who value the teaching of wild life biodiversity. Fascinating facts about plants and their traditional uses, plus information on related animal life, are available in the pack. The pack consists of 3 documents. Note that these are large PDF files and may take sometime to download. For more details of the progress of the wildflower meadow please see the Friends’ newsletter, the Valley Voice and pictures of the wildflower meadow and children working on it.